After browsing The Bloggers Hangout recently, I came across a brand I recognised but couldn't quite place it, then remembered I had bought one of their drinks a couple of days before but hadn't got round to drinking it. 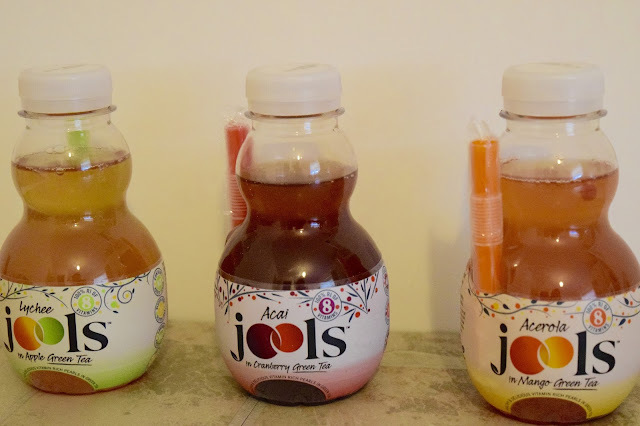 Jools* kindly sent me one of each of their flavours and when I told my sister how good they were, she was dying to try one, so I gave her the one I hadn't got round to drinking, aren't I nice? 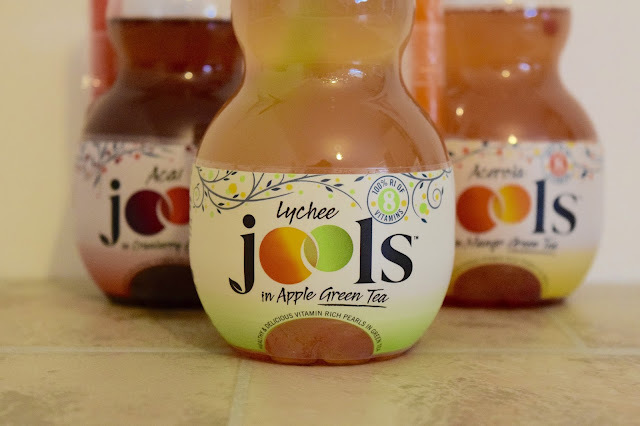 These little bottles of goodness come in 3 flavours: Lychee Jools in Apple Green Tea, Acai Jools in Cranberry Green Tea and Acerola Cherry Jools in Mango Green Tea. Can I just get an amen for Green Tea? Obviously the green tea part was a huge selling point for me, as well as the packaging which definitely caught my eye on the shelf. Plus I'd never actually got round to trying Bubble Tea, which is essentially what this is. So what is Jools? Well it is flavoured green tea with little fruity pearls in it. It of course comes with a straw (in a matching colour, I appreciate this a lot), so you can drink up those pearls with the green tea. 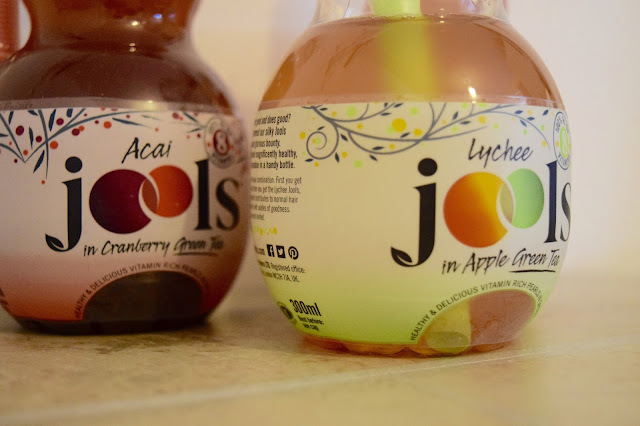 Another thing I absolutely love about them is that they have 100% of your daily intake of 8 vitamins, no added sugar, no preservatives, it is gluten free and is less than 90 calories per bottle. I would have no problem drinking one of these each day knowing how much I was getting from one bottle and for all of that there isn't many calories in it. I personally love these drinks, they are different to anything I've tried before and the Mango one has got to be my favourite! They are definitely the perfect drink for blogging too! Each bottle is £1.99 in all good stockists (you can find a full list on their website), which does set you back a bit and in my opinion is a little on the pricey side but when you take into account the health benefits, is it really that much? 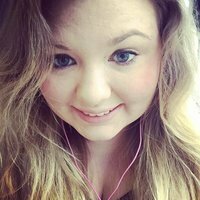 What do you think of these drinks?